And I will get to the story behind this… So just be sure to follow along! Before each engagement session we always send out a very detailed questionnaire to both the bride to be as well as the groom to be. I love doing this because it gives us a chance to get to hear both sides of the story. It is also fun because when we compare them side by side most of the time the forms are almost identical! This makes us happy because this means that the couple is on que with one another and know each other really well. As I was reading over theirs I literally laughed out loud! One question we ask is what dreams do they have together for their future. Willie’s response was so funny. Sweet… but funny. He mentioned that just growing up together and spending their life together would be enough… That’s the sweet part! Then he mentioned kids but wasn’t sure because him and Raven are terrified of babies. ( This is where I busted out laughing). I asked Raven this and she assured me they are very scared of little ones. Older ones they can handle and find fun… It’s those little newborns that scare the heeby Jeebys out of them…. But you know what… I think most newborns scare young couples. So I definitely get it! These two are the definition of High School Sweethearts. They met in the 9th grade at Heritage High School and were inseparable since. In Raven’s words..
We met up with these two at their old Stomping grounds at Heritage. We ended up finishing the Shoot at Hunting Park… Who Knew Huntington could be so beautiful??? And before I end… I have to share why this session will be etched in my memory as long as I am a photographer…. Well they have been training Costa with treats on the nose. And it came up about doing a Ring Shot on the dogs nose. After several approvals from both Willie & Raven… We began. Ring Shots are hard enough. But on a puppy’s nose.. I will have to say they are even more difficult. And So we placed the ring on the Costa’s Nose…. Well… It got almost down his throat before Willie dug it back up with his quick ninja reflexes. Let’s just say I had a heart attack right there. And then… Raven being so awesome and living on the edge… Wanted to do it again! But again… This shoot will be one that I will ALWAYS remember and tell others about that time that the dog almost swallowed the engagement ring! *And now I will be training Thor this trick… So maybe we can try it again! Yep! That’s the cute loveable pup that likes to eat diamonds! We tried something a little different with them… And I am LOVING how it came out! Luke and Ashley I love this session! You two never disappoint. Oh my goodness! What a story! 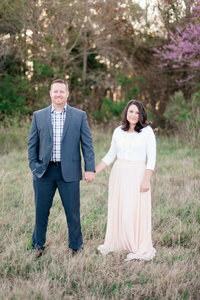 Great photos-great looking couple!